Harris County Attorney Vince Ryan was successful in his effort to ban members of the notorious criminal street gangs, the Crips and the Bloods, from certain Aldine area neighborhoods. Judge Alexandra Smoots-Hogan, 164th Civil District Court, last Friday ordered 37 members of the gangs to stay out of a .34 square mile area located east of Highway 59 and south of Bush Intercontinental Airport, designated by the court order as the “East Aldine Safety Zone.” The order will remain in effect until a trial, currently set for June 16, 2014. The court order also prohibits the gang members while in the Safety Zone from possessing materials for graffiti and communication devices including cell phones, and orders them to stop wearing clothing that identifies them as gang members while in the Safety Zone. Gang members who violate the court order can be fined up to $4,000 dollars and sentenced up to one year in jail. 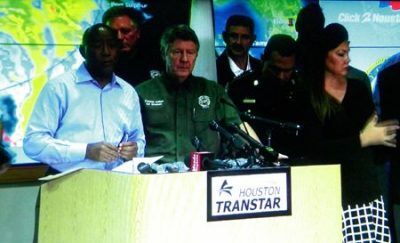 Attorneys from Ryan’s office presented evidence, including the testimony of eighteen officers from the Harris County Sherriff’s Office and Houston Police Department, that the defendants had been regularly engaging in gang activities, including weapons offenses, criminal trespass, possession of illegal substances, assault, and making terroristic threats. 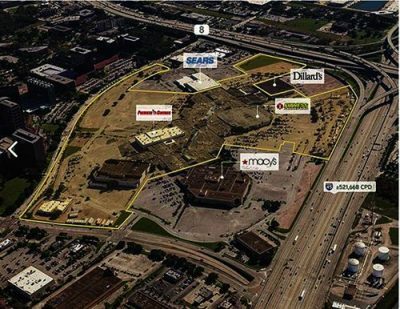 The East Aldine Safety Zone contains two schools (Francis Elementary and A&W Academic Academy), apartments, restaurants, a residential community and retail stores. A hearing on the Harris County Attorney Vince Ryan lawsuit to ban members of the Crips and Bloods gangs from entering or committing crimes in a north Harris County community took place last Thursday, March 13, 2014. The hearing was held at 9 a.m. before Judge Alexandra Smoots-Hogan, 164th Civil District Court, 201 Caroline, 12th Floor. Ryan asked the judge for an injunction forbidding 37 members of the Bloods and 17 members of the Crips from being present in the East Aldine Safety Zone. 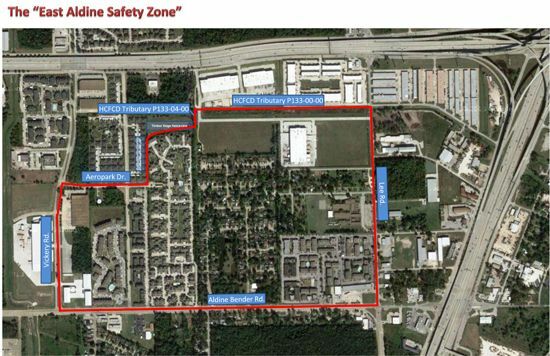 The East Aldine Safety Zone is located east of Highway 59 and south of Bush Intercontinental Airport. The Safety Zone contains two schools (Francis Elementary and A&W Academic Academy), apartments, restaurants, a residential community and retail stores. The County Attorney’s petition states that the defendants have been regularly engaging in gang activities in this community, including weapons offenses, criminal trespass, possession of illegal substances, making terroristic threats and graffiti. The petition asks the gang members be banned from being physically present in the Safety Zone. The petition also asks the gang members be forbidden from possessing materials for graffiti and communication devices, including cell phones, and prohibited from wearing clothing that identifies them as gang members while in the Safety Zone.